I've been working on this design for a long time, and I am excited to finally see it on the website! The 'Lady Jane Grey' Dress is inspired by a portrait of Lady Jane, and I think that the outfit is just beautiful. However, there only 10 outfits in this exact color, so don't wait! This dress is not intended for rough play. 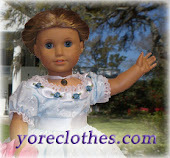 Just bought this for my daughters AG doll, Caroline. 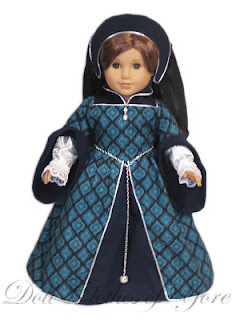 It would be awesome if you could make Nun outfits from different time periods. Some of them have the neatest hats. We're not catholic but would love a time period nun outfit!